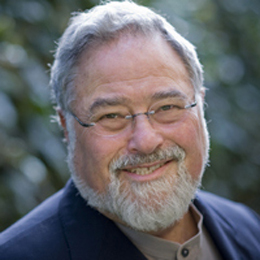 October 4, 2012 By George Lakoff in MIsc. All politics is based on moral values, with strict conservatives and progressives having different moral values. There are also morally complex voters — moderates, independents, swing voters — who are progressive on some issues and conservative on others. All issues are conceptually “framed” — that is, they have a mental structure that fits one’s moral system. Facts matter, but only when they clearly fit one’s morally-based frames. Facts and figures, when used, should create a moral point in a memorable way. And if the facts don’t fit your frames, the frames stay and the facts are ignored or ridiculed. President Obama recently reminded us that private life, private enterprise, and personal freedom depend on what the public provides. That’s the truth. Does the truth matter? Immigration is an important issue for Obama, and it will be discussed throughout this election campaign. The question is how it will be discussed. Just about two weeks ago, on June 22, Obama gave his speech on immigration at the 2012 NALEO conference in Florida. In some parts, Obama clearly and beautifully stated his moral understanding of the issue: undocumented immigrants are in many ways already citizens – they contribute to the American society and economy through hard work, they love the country they live in, they are patriots, they share their lives with other Americans every day, they take on individual and social responsibility. The president offered more than just freedom; he offered appreciation. Democrats all over America are claiming victory in the Chief Justice Roberts’ vote to uphold the constitutionality of the President’s Health Care Law. Conservatives all over America are campaigning all the harder for a president and a congress that will overthrow the law in the future. Thomas Friedman in his NY Times column praises Roberts to skies for putting the country ahead of ideology. Others have seen Roberts as saving “his court” from the appearance of ideological control. But Roberts is a conservative, and a very smart, forward-looking one at that. What Roberts accomplished on one issue was to enshrine two conservative ideologies — without the Democrats even noticing while they were cheering. He did this by using the Court’s ability to turn metaphors into law. He accomplished this with two votes. Perhaps as early as today, the conservative–dominated Roberts Court will choose a metaphor that will affect millions of people and perhaps change the history of our country very much for the worse. Back in 1978, linguists Michael Reddy and George Lakoff, working independently, demonstrated that metaphor is fundamentally a matter of thought, and that metaphorical language is secondary. Conceptual metaphors shape our understanding and can determine how we reason. Consequently, metaphor is central to law, as Citizens United showed by expanding the common legal metaphor Corporations Are Persons, with vast political consequences. Today’s likely judgment was prefigured in the 2008 Republican presidential race when Rudolph Giuliani likened health care to a flat screen TV. If you want a flat screen TV, buy one; and if you don’t have the money, go earn it. If you can’t, too bad, you don’t deserve it. The same with health care, he argued, imposing the metaphor that Health Care Is A Product. This was a sign that conservative strategists were looking for a way to impose this metaphor. Barack Obama helped them. He bought into that metaphor when he chose the Interstate Commerce clause as the constitutional basis of his health care act. He had an alternative — Medicare for All — since Congress has the duty to provide for the general welfare. The Wisconsin recall vote should be put in a larger context. What happened in Wisconsin started well before Scott Walker became governor and will continue as long as progressives let it continue. The general issues transcend unions, teachers, pensions, deficits, and even wealthy conservatives and Citizens United. Where progressives argued policy — the right to collective bargaining and the importance of public education — conservatives argued morality from their perspective, and many working people who shared their moral views voted with them and against their own interests. Why? Because morality is central to identity, and hence trumps policy. Progressive morality fits a nurturant family: parents are equal, the values are empathy, responsibility for oneself and others, and cooperation. That is taught to children. Parents protect and empower their children, and listen to them. Authority comes through an ethic of excellence and living by what you say, rather than by enforcing rules.